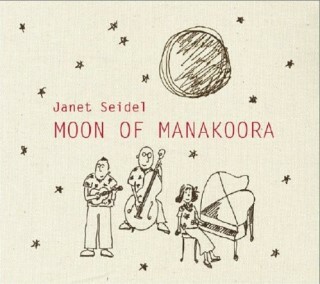 Janet Seidel's "Moon Of Manakoora" was originally produced for a Japanese record label and released there in July 2005, where it reached Number 1 on the prestigious jazz vocal chart of Japan's Swing Journal. In November 2005, La Brava Music issued it for the Australian market and what a delightful album it is. It features Janet Seidel's warmest ever vocals in a dreamy jazz repertoire, with the amazing Chuck Morgan on ukulele and guitars, David Seidel on bass, with Billy Ross and Laurie Bennett sharing duties on drums and percussion.